You’ve heard the stories. 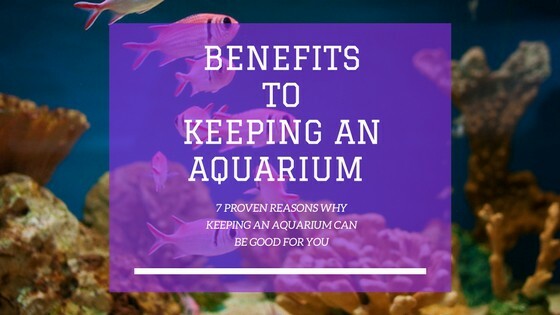 now here’s the proof: 7 reasons why aquariums can be good for you! aquariums can be good for you! Please include attribution to https://www.fishtankworld.com with this graphic. In today’s fast-paced world, many of experience more stress than we’d like to. Stress invades every aspect of our modern lives, whether it’s challenging exams, demanding jobs and busy family lives right through to the other end of the spectrum to things like loneliness, money worries or a fight with a friend. Are you ready to reduce your stress levels and start living better? Research shows that people who spend time watching fish tanks and aquariums can see improvements in both their mental and physical wellbeing. Scientists have discovered that watching an aquarium delivers noticeable reductions in people’s blood pressure as well as their heart rates. Even just looking at a tank that was decorated with just rocks and seaweed – without any fish – had an effect. It lowered people’s heart rates by three per cent. But when fish were introduced, heart rates fell by seven per cent, and it also reduced blood pressure readings by four per cent. Not only that, but the effects seem to get even stronger when the aquarium is swimming with more fish, as these tanks captured people’s attention for longer as well as improving their moods. It makes sense. Underwater settings are relaxing by nature. Picture a fish gliding smoothly through a stream, or a school of fish swimming and turning as one in a large cloud, or a whale majestically swimming through the ocean. Even just imagining it can be beneficial. As many kinds of animal therapy are now an accepted method of managing and improving mental health management and improvement, it’s good to see that aquatic life is now also being recognized for the positive role it can play. Alzheimer’s is a terrible disease that robs people of their own memories, their capacity for clear thinking and their relationships – both past and present. It’s often mentally distressing for patients, and it can result in lots of behavioural changes including aggression, lethargy, panic, violence and confusion. Mealtimes can be challenging for Alzheimer’s patients, who are sometimes disruptive or lethargic, which means they often don’t eat as much food as they need to. This of course has knock-on effects and patients often need supplements or assistance (or to be restrained) during meals. 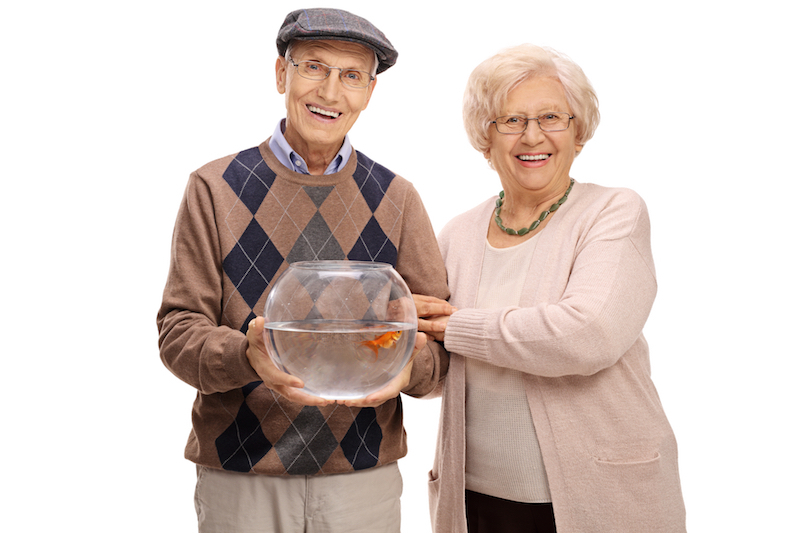 Researchers in Indiana had a hypothesis that watching fish might soothe these patients, helping to restore positive behaviour. They felt this could calm patients and that in turn, this would help improve the nutrition they were taking in at mealtimes. The study followed 60 residents with Alzheimer’s, in three Indiana nursing homes. The researchers observed their behavior before and after fishtanks were installed in the dining areas. Introducing fish into the dining areas had a significant effect. Patients ate up to 21 percent more food than they had before the fishtanks were introduced, and they also seemed more relaxed and alert. There was also a reduction in negative behaviour such as wandering, pacing, yelling and physical aggression. The researchers also noted that many of the patients were captivated by the fish. Some patients watched the fishtanks for up to 30 minutes. It’s thought that watching the colourful fish gliding about was a unique kind of stimulation, because the fish move in different patterns all the time, so their swimming provides an endless variety of things to notice. As well as increasing alertness and attentiveness, in some cases the fish tanks also helped to produce significant changes in behaviour. There were some patients who had been silent and unresponsive to staff members prior to the study, who began engaging with the fish tank, spending time watching the fish, and then asking questions about them and their care. One lady even spoke for the first time since she had been admitted to the nursing home, when she asked how many fish were in the tank. Studies like this show that the benefits of animal and aquatic therapy can go far beyond just stress reduction. 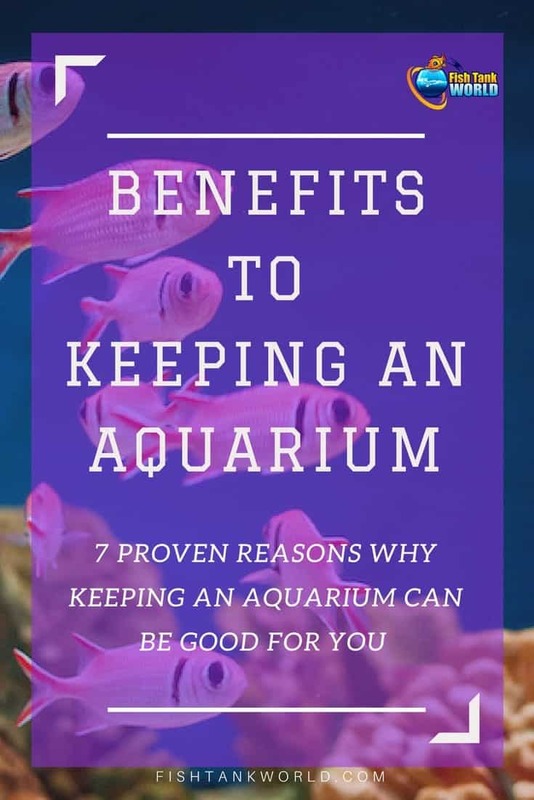 Aquariums could help to reduce the need for nutritional supplements and lower the amount of medication that has to be given out, and that has positive benefits for the healthcare system in general as well as for individual patients in particular. Fish tanks and displays are often associated with attempts at calming patients in doctors’ surgeries and dental waiting rooms. This study has, for the first time, provided robust evidence that ‘doses’ of exposure to underwater settings could actually have a positive impact on people’s wellbeing. Deborah Cracknell, PhD Student and researchers at the National Marine Aquarium. There’s a reason that many doctors and dentists keep an aquarium in their waiting rooms. It calms patients! The gentle, hypnotic quality of watching fish swim can have a good impact on stress levels before and during an appointment. 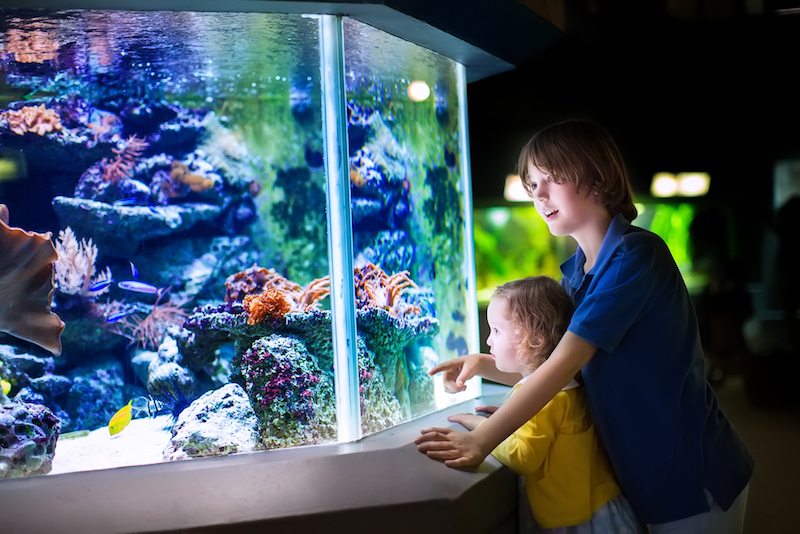 Aquarium therapy studies going back as far as 1984 show that dental patients who were given either hypnosis or an aquarium viewing prior to their elective oral surgery, experienced the same or greater benefit of calming relaxation from the aquarium. They reported less pain and needed less pain medication. The researchers also tested whether looking at a poster of an aquarium would produce the same benefits, and not surprisingly, it didn’t. Just as studies show that watching fish can lower blood pressure and produce calming effects, the results also suggest that the presence of an aquarium in the office could contribute positively to productivity. Work environments can be high-pressure places. Whether you work in a café, a bank, a corporate office, or somewhere else, there are a never-ending supply of factors that can play havoc with our sense of calmness and stability. There are deadlines to meet, customers to serve, piles of paperwork and plenty of opportunity for potential conflicts with the boss or other colleagues. Imagine being able to head to the break room and sit down to watch the aquarium. Picture the fish calmly going about their business in the tank, completely unperturbed by the demands of modern life. They’re just quietly sifting the sand for food … gliding fluidly through the water … nibbling on the plants ….and hiding in behind rocks or ornaments. In times of work stress, having an aquarium in the office can help employees feel more relaxed. And the benefits appear to increase if there are higher numbers of fish in that tank. They hold people’s attention for longer and help to improve their moods. 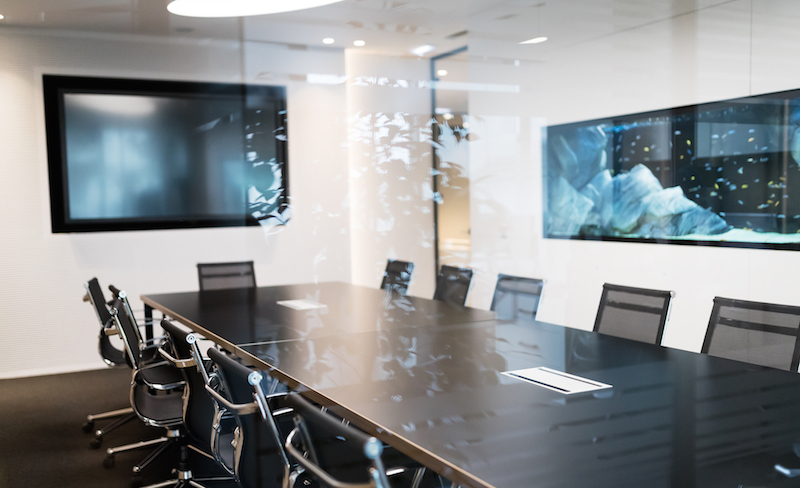 A survey conducted by the American Pet Products Manufacturers Association showed that having an aquarium in the workplace provided a range of positive health benefits. These included lower blood pressure, lower stress levels and improved overall emotional and physical health. This had the related benefit that employees were happier, healthier, more motivated, creative and productive in the workplace. The reasons for this aren’t exactly clear. But did you imagine the aquarium scene described a few paragraphs above? Did it help you to feel calmer and more relaxed, even if it was just for a moment? There’s something about the quiet, gentle movement of fish in their natural environment that seems to have a hypnotic effect on people. Fish don’t get bothered by any of the stresses of modern-day life that we need to cope with. Their lives are tranquil and worry-free. Watching them can help us to move our minds away from our problems, so that we’re absorbed by what we’re seeing rather than what we are thinking or feeling. By their very nature, fish are self-contained and can be easier to look after than other pets. This can make fish an excellent option for the animal-lover who doesn’t have the right kind of time, space or circumstances for other pets such as a cat, dog or bird. Maybe you live in a small apartment and your landlord won’t let you have a dog? Or your girlfriend is allergic to cats? Or you’re not able to move around as easily as you’d like and you can’t keep up with a furry animal? As an aquarist, you can enjoy your pets without having to worry about issues like these. You never need to take your fish for a walk, or tidy their litterbox, or sweep up the seed (and other messes) that they might throw out onto the floor. 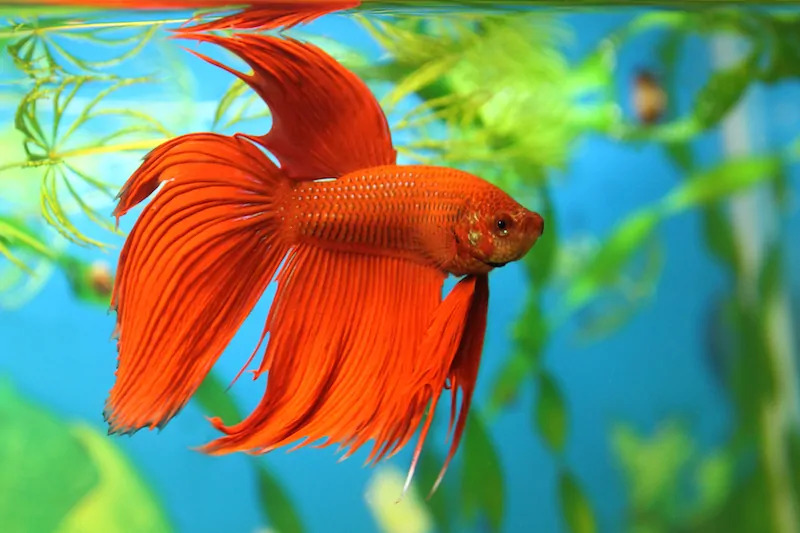 Your fish will also be fine when you head off to work or to meet friends – you can safely leave them alone without having to worry that they’ll get anxious without you there. Your neighbours will never complain about how much your fish howled while you were out for the day, and you’ll never come home to find your shoes have been chewed up by a bored fish looking for entertainment. No fish is going to scratch up your new sofa, pull the curtains off their rails, or deliberately push every object off the shelf right in front of your eyes. All jokes aside, fish do require regular care and maintenance to keep them and their aquarium habitats in top condition. But as long as you are staying on top of regular water changes, vacuuming and other hygiene tasks, and keeping to a more-or-less standard feeding schedule, your fish can thrive on their own without much more involvement. 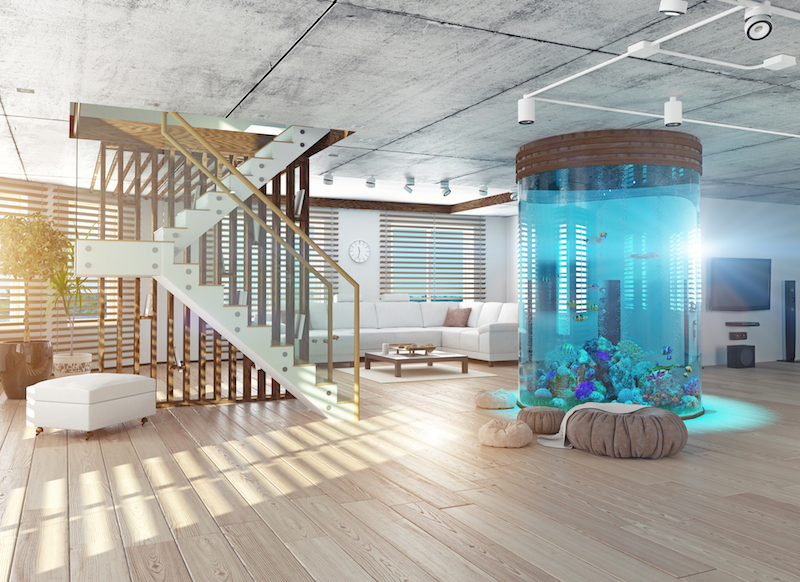 Aside from all the physical and mental benefits that having an aquarium can deliver for you, a fish tank in your home can be a beautiful, beautiful thing – literally. You can create many different kinds of look for your aquarium, using an eye-watering variety of equipment. A tropical tank can bring vibrant colours into your sitting room, with its bright blue water, reefy outcrops, corals, anenomes and other wildlife, and neon-coloured fish darting about. A freshwater tank can be a wonderful reproduction of a natural stream or pond, with a light sandy bottom, plants gently waving in the current, and silvery fish gently swimming in and out of driftwood. Check Pinterest for Ideas – Fish Tank World update regularly a board of Aquarium Ideas. Just watch out, as you could disappear down a rabbit-hole of inventive, wonderful aquarium settings and not come up for hours! You might need to be careful when you venture into the world of aquariums. What starts out as a hobby could soon become an overwhelming passion! You’ll start thinking about things that have never even crossed your mind before. What are the best fish species for coldwater aquariums? What’s the best substrate for tropical tanks? What filters? How do you manage water pH? This is just the beginning. 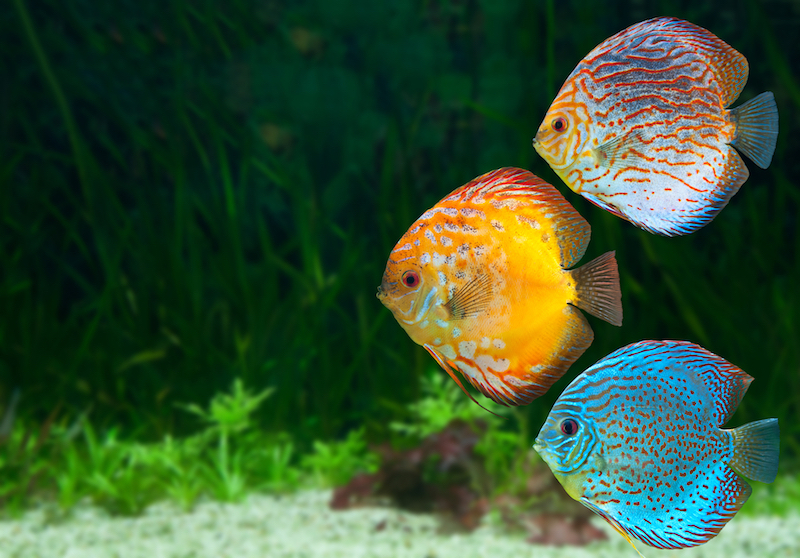 There are over 25,000 fish species in the world, and over 2,000 that you can choose for your home aquarium. That’s a huge variety of options to delve into. You might start out with a five-gallon tank that has a few bettas in it, and before you know it, you’ll be hunting down rare species, staying up till the wee hours talking on fish forums with other fish-lovers, and running out of electrical outlets to plug your filters into. Fish are pets, after all – as you grow to know your fish you can develop a very special relationship with them. And there is so much to learn about the technical aspects of aquariums that there is always another thing to move onto. But can you get too much of a good thing? Can fish-keeping actually become addictive, in the negative sense? The short answer is yes. Fish-keeping is a fairly wholesome kind of addiction in the scheme of things, but it can still start to impact negatively on you if it gets out of control. So how do you know if your hobby is starting to cross the line and turning into an unhealthy obsession? Psychologists say that if something is interfering with your daily life, that could be a sign of an addiction or a passion gone too far. Check this article for a list of signs to look out for. And here’s an interesting article that delves into some of the ways that addiction works when it comes to fish-keeping. Hopefully you will never reach this stage, and maintaining your aquarium and your fish-keeping hobby will be a healthy, sustainable hobby that brings you lots of joy and satisfaction for years to come. So there you have it: aquariums can do a lot. When you own an aquarium, you could benefit from lower blood pressure, a lower heart rate, better mood, good mental health, an ongoing opportunity for learning, and something that’s fun and engaging, beautiful to look at and easy to look after. What more could you want? 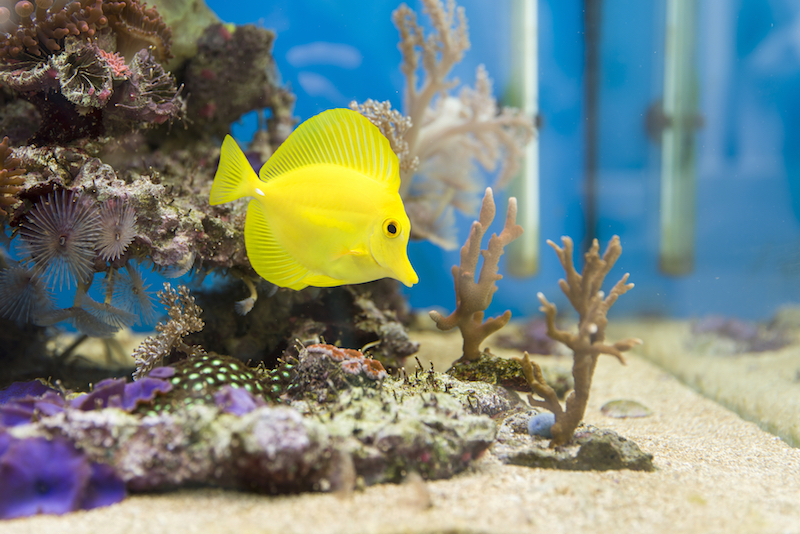 7 benefits to keeping an aquarium – as if you needed convincing though, am I right?! Let us know in the comments if we missed any benefit that you want to share.